Little known fact: There are dozens of ways to get free Amazon gift cards. In this article, we’re sharing our best tips for unlocking free Amazon gift card codes — all of which involve minimal effort. Amazon has totally transformed the way most of us shop. Twenty years ago, we couldn’t imagine the convenience of flipping open a laptop, browsing for a few minutes, placing an order, and having it delivered to our home within two days. Nowadays, you can find basically anything on Amazon – and often for the lowest prices on the market! That being said, here are our top 24 ways that anyone can get free Amazon gift cards. How Long Does it Take to Earn a Gift Card? 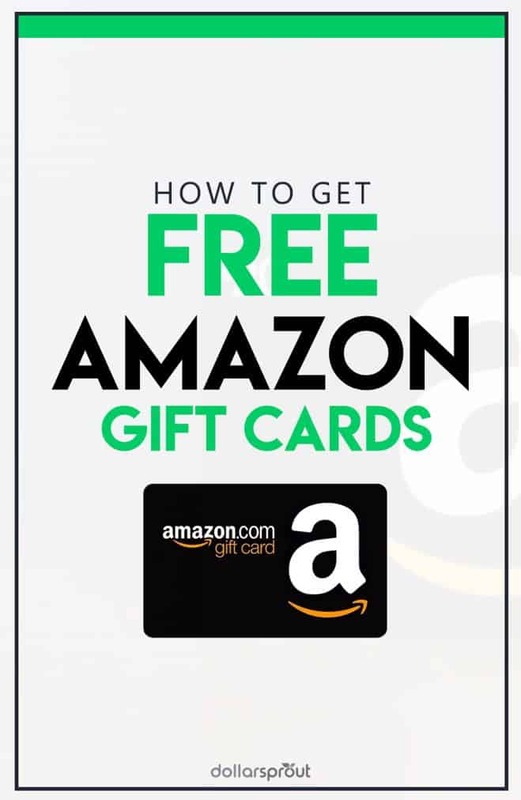 How Do I Spot Amazon Gift Card Scams? What is the Amazon Prime Store Card? You hear a lot about online surveys in the conversation about how to make money from home. While no one is getting rich off doing surveys, they are a quick and easy way to make some side money. A lot of them offer the option of converting your rewards into free Amazon gift cards, which is super-convenient given Amazon has almost everything. 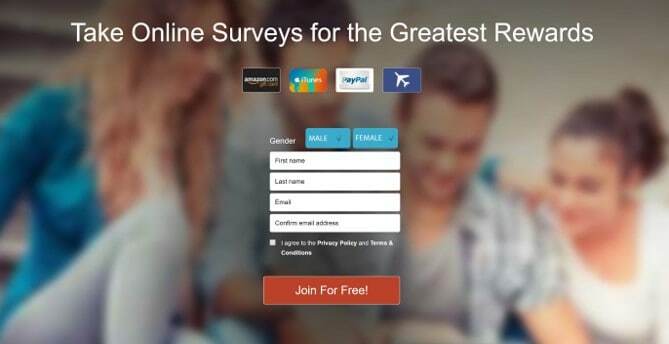 Survey Junkie offers a massive inventory of paid surveys. Each survey is assigned a point value (most are between 100-200 points) as well as an estimated completion time. Once you accrue 1,000 points – equal to $10 – you can cash out. Compared to other survey sites, this is a pretty low payout threshold, which is a nice perk. When it’s time to cash out, you’ll receive your e-Gift card(s) immediately. There is no waiting period. As it turns out, Amazon isn’t your only choice for converting your points to gift cards. Click here to sign up for Survey Junkie for free. Earn Swagbucks (also known as “SBs”) for responding to surveys and watching videos from the comfort of your couch. You can even earn rewards on your regular online purchases by using the Swagbucks shopping portal. Save up your rewards and redeem them for free Amazon gift cards. It doesn’t take long – most of the surveys pay at least 60 Swagbucks, and 500 Swagbucks gets you a $5 Amazon gift card. Pro Tip: The higher-value Amazon gift cards often go “on sale” for even better rates! MyPoints is similar to Swagbucks (in fact, they’re owned by the same company. As a member, earn rewards by taking simple surveys, shopping online, watching videos, and more. Once you become a member, MyPoints will give you a $10 Amazon gift card bonus after completing a set amount of task (in addition to your normal earnings). SurveyMonkey has a rewards app that sends you five-minute surveys (based on your profile) as they become available. Get paid for every survey, and once you’ve earned $5, cash out for an Amazon gift card. If you’re feeling selfless, you can opt to donate to your favorite charity instead. Opinion Outpost offers flexible rewards for completing consumer surveys. You can take a cash payout via PayPal or redeem for gift cards from Amazon or other popular retailers. In addition to paying you to answer surveys, Opinion Outpost draws for $10,000 every quarter. So with every survey you complete, you earn another entry for the draw. Get paid to share your opinion on product ideas with SurveySpot. Sign up with your email and start receiving survey offers right away. When it comes time to cash out, you’ve got options: PayPal deposits, free Amazon gift cards, Airline Miles, or iTunes gift cards. Like Opinion Outpost, SurveySpot also has a quarterly draw you’ll earn regular entries for. Get free Amazon gift cards (among other rewards) when you use iPoll to share your perspective on everyday products and services. Access their surveys at home or on the go with their website or mobile app. And as an added bonus, they draw for $10,000 every quarter. You never know, you could be the lucky winner! 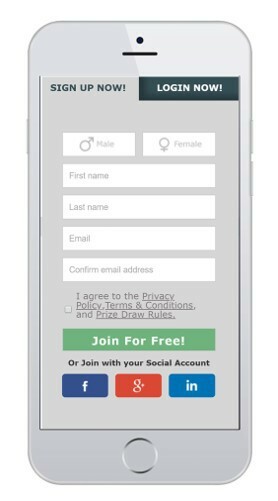 Sign up for PrizeRebel in three easy steps and get on your way to earning free Amazon gift cards for taking surveys. Actually, PrizeRebel offers hundreds of gift card options as well as PayPal and bank direct deposit. Talk about options! Brands pay iRazoo for consumer opinions, and they pay you to provide those opinions. Take surveys, watch videos, play games, download apps, and earn points for all of it. Convert your points into free Amazon gift cards, a PayPal deposit, or gift cards for one of their other partners. InstaGC does what it sounds like – helps you earn instant gift cards! They reward you for online activities like taking surveys, shopping through their online portal, watching videos, and searching the web. You can redeem your points for gift cards from their 360 partners, including Amazon. Digital delivery is instant, so no waiting to enjoy your rewards. CashCrate offers a variety of ways to make money online – do surveys, shop, play games, or refer friends. They pay cash for a lot of their activities, and payouts are scheduled for the beginning or mid-month, with a minimum $20 cash out. You can also convert earned points to Amazon gift cards by playing games and participating in tournaments with other community members. 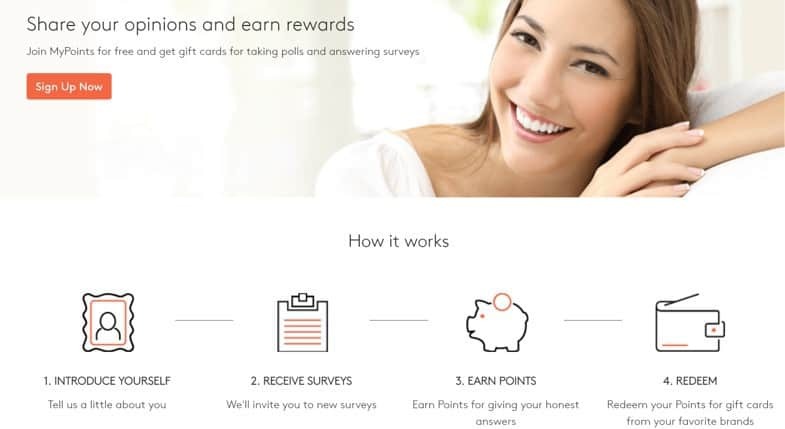 With LifePoints, you earn points for completing online surveys for consumer research using the website or mobile app. You can then redeem those points for anything in LifePoint’s rewards catalog, including free Amazon gift cards. Other options include cash, gift cards for other retailers/restaurants, and merchandise. Don’t have time to complete surveys? Get free Amazon gift cards for something you were already doing – shopping online. Ebates is an online shopping portal earning you cash back on purchases you were making anyway. You just visit the Ebates site first, search for the retailer you’re going to buy from, choose any coupons you want to apply, and click “shop now”. Then you just proceed normally. If you make a purchase, the posted cash back offer will be deposited into your Ebates account. Some stores might only offer 1% cash back, but during promotions, some might have offers as high as 16%! Click here to get a free $10 signup bonus. Payouts occur quarterly and are in cash – a check in the mail or a deposit to your PayPal account. But you can use the cash to buy Amazon gift cards if that’s more your jam. You can also purchase Amazon gift cards through the Ebates portal and earn cash back on them. See Also: Ebates Review 2018: How Does the Cash Back App Work? Is it Legit? 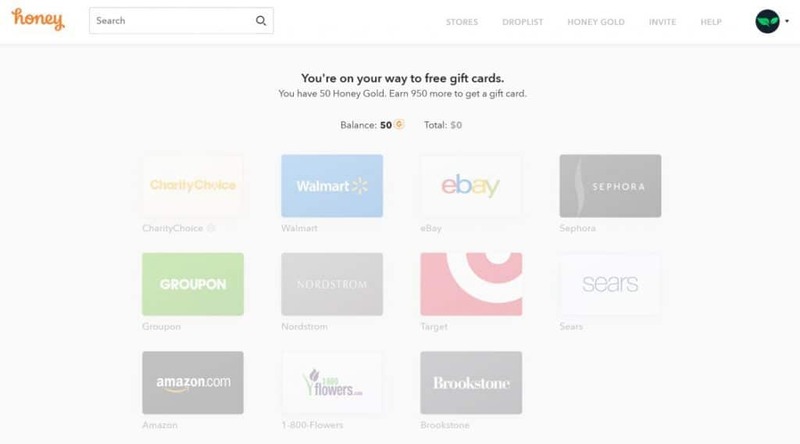 Honey is a browser extension that saves you money by automatically searching for and applying the best coupons when you shop online. This means you’ll never forget to use a coupon code again. In addition to the money you save from the coupons, you also earn Honey Gold Rewards when you shop at participating online retailers. This essentially means you earn points on those purchases that you can later convert into rewards– like free Amazon gift cards. Could it get any easier? Shopkick (via iOS or Android) is a super-shopping app offering its users eight ways to earn rewards – AKA kicks. Earn kicks when you walk into the entrance of select stores with your Shopkick app open, and then scan barcodes of select products to earn even more. You earn kicks every time you make purchases with a linked card and scan your receipts when you purchase featured items. You can also visit online stores, view certain products, buy products online, and watch videos. All these activities earn you kicks, which you can then redeem for awesome rewards like free Amazon gift cards. Mobee is a super-fun secret shopping app that assigns you undercover missions to be completed at local stores. Your reward? Points to be redeemed for a slew of gift card options, including Amazon. Keep using the app to unlock special achievements and earn even more points! Gazelle buys and sells used electronics like phones, tablets, and computers. If you have an item to sell, you can choose how you’d like to get paid. You can opt for a check in the mail, a PayPal deposit, or a digital Amazon gift card. All pretty convenient, don’t you think? You can use these apps to get free Amazon gift cards for shopping at your favorite stores – including grocery stores. While not everyone is into shopping, everyone needs groceries, so these apps target a wide audience. Ibotta is mostly for grocery stores, but they’ve added other types of retailers, too. This is another receipt-scanning app, but probably the most popular one on the market. Simply download the app, select a store, and browse through deals. The deals are essentially cash back offers for purchasing specific items. Add the deals you want and do your shopping like normal. When you’re done, all you have to do is take a picture of your receipt and you get cash back (or a gift card of your choosing). Use the Receipt Hog app to snap pictures of your shopping receipts and submit them for rewards. It doesn’t matter where you shop or what you buy, Receipt Hog will trade your shopping data for one of two rewards: coins or spins. Get free Amazon gift cards, cash, or magazine subscriptions using coins, and use spins to play the Hog Slots for chances to win more coins. Don’t worry, they keep your shopping data anonymous. Note: there’s currently a waitlist to join Receipt Hog. Looking for a flexible side hustle? Amazon has a program called Mechanical Turk (or mTurk) that’s essentially a marketplace for online work. Companies seek workers to complete online tasks in exchange for payment, and workers find online jobs that are a good fit for their skills and interests. The actual tasks will vary but might include things like data entry jobs, video processing, creating written content, transcribing data, or even taking surveys. If you love Amazon, you might opt to have your payment transferred directly onto an Amazon gift card. You can also choose a PayPal credit if preferred. Right now Amazon has a sweet deal: reload an existing gift card with $100 or more and get $5 for free. As you might expect, this gem is a one-shot deal. Have last year’s smartphone still kicking around? You might be able to get paid for it through Amazon’s Trade-In program! They buy good condition smartphones, tablets, game consoles, e-readers, and books. You have to send in your products to be assessed, but shipping is free. If they’re accepted, you’re good to go. If not, the items will be returned to you. The payment for accepted items? Amazon gift cards, of course. If you have a website or blog, you can earn extra money through affiliate marketing. Sign up for Amazon Associates and start advertising some of Amazon’s products on your site. If your readers click on your links and make a purchase, you’ll earn a referral fee on the sale. You can get paid in cash or in free Amazon gift cards. With all of these options, you may have questions! Here are the answers to a few of the ones that get asked most frequently. You can earn a gift card in 15 or 20 minutes for many of the activities described here. Although some apps require you to take pictures or follow directions, some apps require nothing other than signing up and having the app running in the background on your device. Depending on the amount of time you have, you can join each of the recommended sites. Some people choose sites that allow you to redeem gift cards as low as $1 so they can cash out quickly. But it’s up to you to balance what activities you like to do and how much you are rewarded for your time. One tip I have: It might be smart to create a separate Gmail account specifically for cash back and survey sites. These sites have a reputation for sending lots of emails, so have a designated place for those to go is a good idea. Just like you can be scammed out of cash, Amazon gift cards are also demanded as a form of payment by those who want to separate you from your money. If someone contacts you and says you have unpaid debt or owe back taxes and need to pay with a gift card, it’s a scam. Scammers even try to tell people they’ve won money but have to pay fees with an Amazon gift card before they can have their cash. Other scams you might hear of include fake listings for items that must sell fast, electronic devices that have been hacked, a family member who is having an emergency, or promotions for services like cable TV or internet. If you’re contacted by someone and told to pay for any of these with an Amazon gift card, hang up or delete the email. Go with your gut and the old saying that if it sounds too good to be true, it probably is. 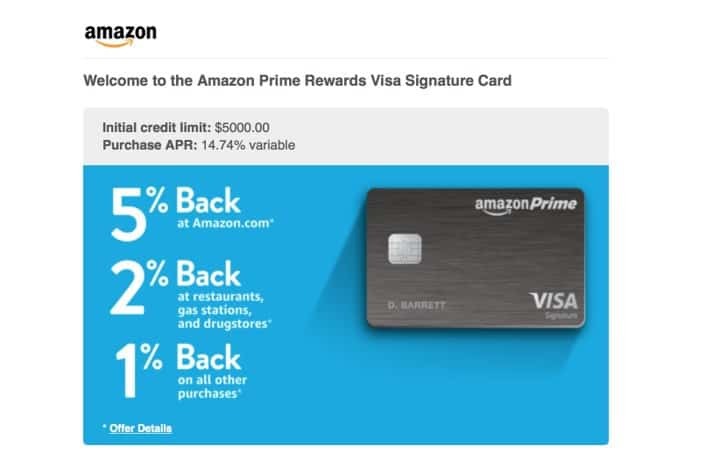 The Amazon Prime Store Card is issued by Synchrony Bank and allows Prime members who have the card to earn 5% back with no cap at Amazon.com. It is a no annual fee store card also offering different promotional financing options for purchases $149 or greater. Depending on the price, shoppers can either take 5% back or 0% financing with equal monthly payments for 6,12, or 24 months. The card has a 27.74% purchase APR and currently offers a $10 Amazon gift card added to a new members account on approval. Cardholders enjoy zero fraud liability but there are specific limitations to what can be purchased with the card. Make sure you read and understand the terms and conditions. Whether you’re an Amazon addict or just an occasional shopper, you’re sure to find a use for the free Amazon gift cards you’ll earn using these tips. Know of another way to score gift cards? Let us know in the comments! MyPoints and Prize Rebel are excellent options, though since they don’t require any important info like that except maybe your name and other things for survey profiles and such, but I double checked and NO SSN is required, so that’s an added bonus. MyPoints gift cards only take a few days to get to your email and it’s completely legit, but I’ll have to get back to you on PrizeRebel since I’ve only been on for about a couple weeks and have yet to cash out there, but they DO have Amazon and Paypal if you want to get actual cash back. The $600 a year threshhold is an IRS rule and has nothing to do with Dosh. In fact, any of these apps/sites are legally required to report your income if you earn above $600 from them. I live with and take care of my elderly mother. She has heart problems, so I can’t get out like I would like. So I go on line alot to browse. I have bad credit and no checking/ savings account. Is PayPal a good option for me? You should probably have a checking account, at a minimum. It’s much easier to use out in town than a Paypal account! Hi Jeff, this is Jason from Prizerebel. Would it be possible for you guys to do a review of PrizeRebel on DollarSprout? Send us an email at [email protected] along with any sort of affiliate information you may have and I’ll pass it along. Gas is expensive, but that doesn’t mean you have to break the bank to get around town. 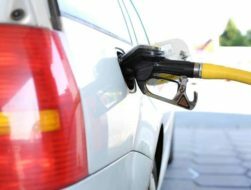 By reducing the number of miles you drive and using these 14 ways to get free gas, you can consistently fill up your tank at almost no cost. 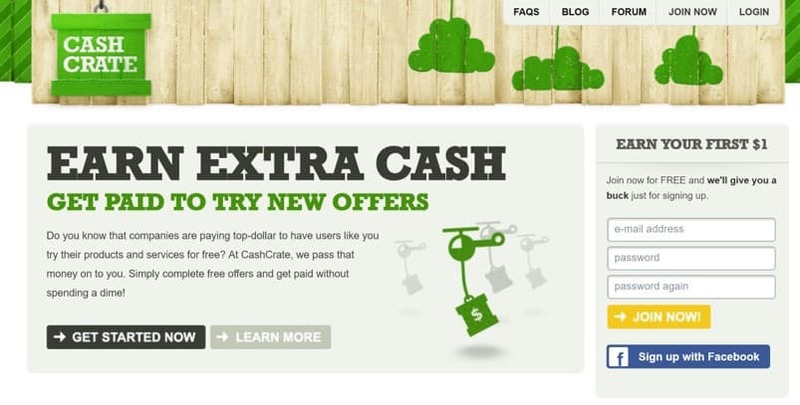 Ebates Review 2019: How Does the Cash Back App Work? Is it Legit?